This message was preached by Augustine Kudalkar at Word of Grace Church on July 22nd, 2018. To listen/download the audio please click here. To listen to the Sunday's worship and prophetic contributions please click here. In Luke 8 Jesus calmed the storm, set free the demon- possessed man and raised a little girl from the dead. Then he calls his disciples together, and gave then power and authority over demons and sickness. Huge crowds were following Jesus and he welcomed them. When the crowds were hungry, he moved with compassion and fed them with 5 loaves and 2 fish. After than He asked his disciples, what do the crowds say I am? Then he asks who do you say I am? Peter got a revelation and said he is Christ, the son of the Living God. Then Jesus reveals the father’s plan for his death and resurrection. There is a cost to following Jesus. 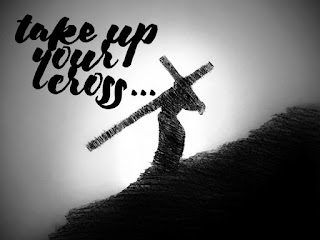 In Luke 9:23 he says “Whoever wants to be my disciple must deny themselves and take up their cross daily and follow me” this means submitting to God’s will and His authority. Q. How can you do that? Q. What does it look like to follow Jesus? 1. Jesus fasted and prayed. We could do that by joining the weekly fast and pray for our country and the world. 2. Jesus ate with Sinners- we are called to relate with the people around us- not to be isolated. So we follow Jesus when we do as he did. 3. Jesus healed the sick- So we are called to lay hands and heal the sick. In verse 24 Jesus says “For whoever wants to save their life will lose it, but whoever loses their life for me will save it.” Jim Eliot was a missionary to Ecuador. He went deep into the jungle and reaching out to a tribe there. He was killed with a spear. As a result of his death, thousands of men and women signed up to go to the mission field. In our company, when someone does a good job, they are appreciated and acknowledged before everyone. When we acknowledge Jesus before our friends, Jesus will acknowledge us before the Father. Jesus paid the price for us on the cross and it cost him everything. Are you a part of the crowd or are you a disciple? Even Peter messed up, but he sought forgiveness and Jesus forgave him. On friendship Sunday we have an opportunity to acknowledge Jesus before our friends. Jesus wants us to take His love to this dying world.